Acquiring new clients costs a lot more than holding on to existing customers. Loyal and satisfied customers also buy more often, spend more and are more likely to recommend your store or services to friends. 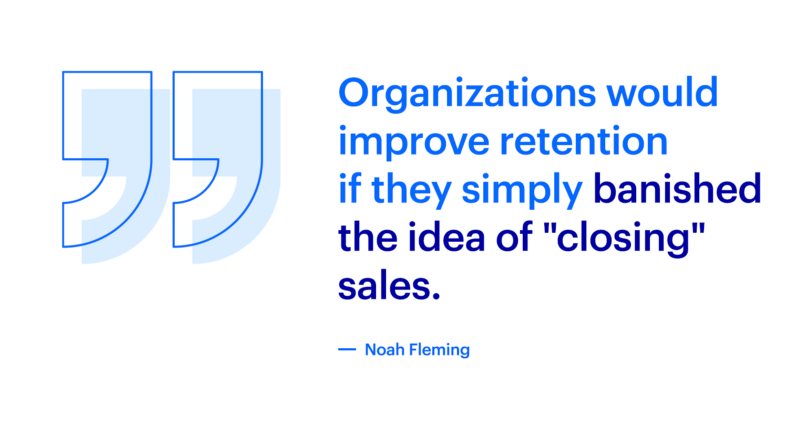 It’s clear that customer retention should occupy a very important place in your company’s strategy. 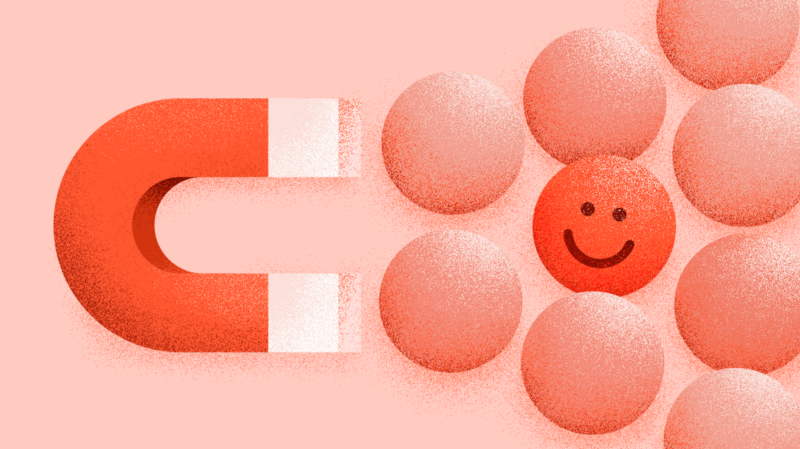 Read on to find out what you can do to increase your Customer Retention Rate and customer satisfaction. Companies lose $75 billion a year due to poor customer support that causes clients to disengage with a brand. Half of them leave after the first bad experience. Even those who remain will be less likely to convert than customers who are fully satisfied with their buying experience. Research done by Frederick Reichheld of Bain & Company (inventor of Net Promoter Score) indicates that increasing customer retention by 5% can lead to a boost in profits of between 25 and 95%. This all leaves a large door of opportunity open to anyone willing to focus on it. 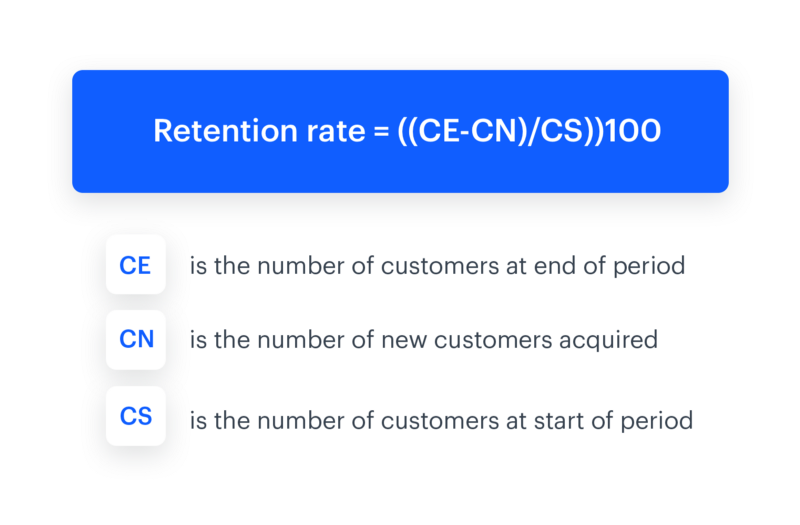 But let’s start from the basics: what retention really is and which metrics you need to know if you want to measure and increase it. Customer retention is simply the process of taking all necessary steps to keep as many customers actively engaged as possible. It’s the last, but very important, step in the customer lifecycle. How do you measure retention? The key metric here is the Customer Retention Rate (CRR), which shows what percent of customers have been retained in each period. It’s different from the familiar Customer Churn Rate (CCR), which shows what percent of your customers have abandoned a brand. It is also worth mentioning the CLV (Customer Lifetime Value) indicator, which shows the value that a customer brings to a company in a given time period. Thanks to CLV, we know, among other things, that in the third year of acquisition, the client spends 67% more than in the first half of the year. The closer your CRR is to 100, the better off you are. Let’s look at how to boost it and keep churn to a minimum. First, you need to calculate your retention rate indicator, and then find out why customers are leaving you. Ask outgoing customers about their shopping experience and the sales process. What did they not like during the contact with your brand? It is also worth asking for the reason for resigning from receiving your newsletter. Carry out an internal examination, by phone or online. Invest in a platform for collecting and analyzing data about your clients, which will allow you to automate processes and tell you which tools work best in retaining customers. It will also help you adjust your communication to the customers’ behaviors in terms of message, device and time. Personalize communication: it is crucial in the context of customer satisfaction. Use marketing automation to remind customers about important dates: birthdays, anniversaries etc., and give them special discounts connected with those dates. You can also send reminders if your service relates to specified dates (e.g. renewal of antivirus software license or insurance policy). Give free educational materials (blog, expert insights etc.) to your customers, let them view you as an expert in your field. They will buy more products because your brand will have authority in their minds: if an expert is selling something, it must be good, right? Customers like to feel that their voice is important. Try to find out what they expect when they are still active in interacting with your brand. A good example is Lidl, one of the biggest supermarket chains in the world, which from time to time introduces new products based on customer feedback, such as bakeries in every store, markets with fresh vegetables or inexpensive but good wines. Lidl also provides a good example of great promotions involving current customers and encouraging new purchases, like promotional campaigns with a collection of toys for children. The figurines are added to purchases over a specific amount, and collecting the entire range becomes a motivation to buy only in Lidl. The same idea is also executed with stickers; after collecting a certain amount, the customer gets various items for free. Reward your customers by offering them additional value in a form other than physical gifts (discount, the possibility of downloading an ebook, free delivery, etc.). Six out of ten customers believe rewards are the foundation of their loyalty. That’s why for a few years I have been replacing my tires in the same local workshop. It’s nice to see on the invoice that I pay 20% less just because I keep going back. Another action worth considering is the creation of an affiliate program, thanks to which customers receive additional value for recommending a product or service to a friend. It also works in B2B, I remember how we made such a program in a company that produces advanced software for managing computer networks. We were surprised by how many network administrators recommended the software to a friend in exchange for a discount on the annual Service Agreement. The highest level of rewards for loyalty is represented by the loyalty program, thanks to which customers get favorable offers. Rossmann uses this strategy especially well. Thanks to their mobile club application I am able to save $10 on purchases over $50. It might be just the thing you need to keep customers interested in you. Also, take care of the comfort of your customer support team and reward them. A well-treated employee is more involved in his duties and thus serves clients better. A Gallup study about employee engagement says that only 30% of the U.S. workforce is engaged in their work, with active disengagement costing the American economy an estimated $450–550 billion per year. Be prepared for crisis situations on social media, consult your strategy with experts, hire a spokesperson and prepare different scenarios. The quicker and better your response is, the less brand loyalty you will lose. Engage your customers by creating a community connected with your brand: organize offline meetings or user-generated content contests on social media, etc. Invest in better UX/UI on your website and app. Speedier checkout and seamless experience — that’s what your clients want the most. 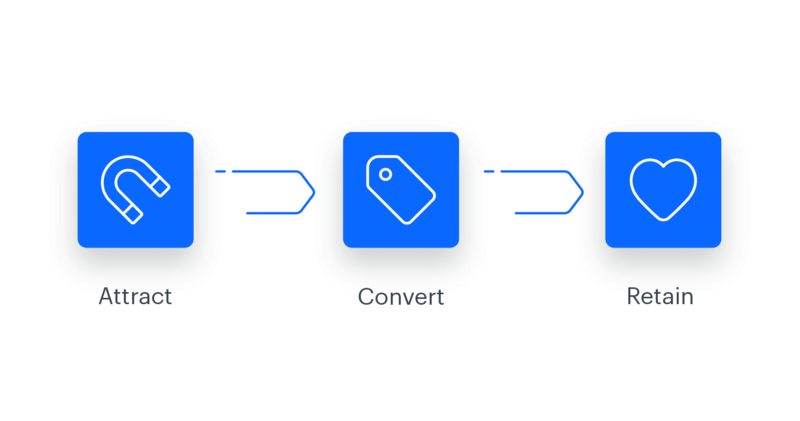 Personalize offers based on purchase histories with AI recommendation engines. If you run an e-commerce shop, let the AI do the talking and suggest products to your customers based on their purchase history and behavior. Our own data shows that such a system can generate an average 30% revenue uplift from loyal and new customers. You already know why it is important to maintain a high level of customer retention and what you can do to make it as high as possible. As in any marketing activity, work on the Customer Retention Rate is iterative, so analyze, act, analyze and adapt and over and over again to achieve the desired effect. Divide the calendar into shorter periods in which you analyze retention. This will make it easier for you to react to current events. As part of the inspiration, read posts similar to this and talk to friends in the industry about how they managed to raise their CRR. Be inspired by examples of others. Don’t complain that you do not have the resources or budget you need. As I said at the very beginning, it is cheaper to retain that to acquire, remember that!